Last week’s interview with the creators of the newest African blog aggregators, “An African Aggregator Roundtable Discussion“, has created quite a discussion on the idea of pan-Africanism online. The comment area has been very active with some pertinent questions being asked and a thought line that should be continued. I wanted to highlight that conversation and invite more people to it. Is it possible for a website (or web application/platform) become relevant to Africans throughout Africa? This thought is further stratified when questions of language and intent are brought into the equation, but in short, I think the answer is, “yes”. However, a site can not be relevant Africa-wide if the creator does not realize that everyone is “African” and yet no one is “African”. Are these aggregators putting politics (pan africanism) before user experience (which would perhaps favour one language one country/region) and it seems as if these aggregators are trying to â€œcatch allâ€ users within Africa because there is not sufficient internet users on the continent. Is this the case? 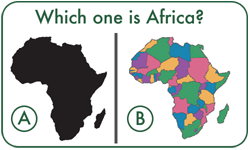 Specifically in the West, we like to lump everyone together in this large continent as “African”. However, people around Africa see themselves as from a specific country. Just as someone from India doesn’t want to be labeled an “Asian”, so too do Africans want to be recognized and part of a specific country’s community. So, a platform that serves everyone around Africa is possible, however it needs to have intentional country-specific focus. This could mean that language and local “ownership” are necessary. Is language too big of a barrier to overcome? One of the primary thoughts, best articulated by Nino, revolved around the complications that language presents. This resonated particularly loudly with me, since one of his comments linked to 5 other African community websites, of which I had only known 2 of. The fact is, if it’s not English, I only hear about it through someone else emailing or commenting about it – that’s a problem. Others countries are french-speaking or arabic-speaking, and the fact that the langage isnâ€™t english is a huge barrier. There a many moroccan initiatives, or ivorian, or senegalese, or cameroonian ones and it will be less present in anglophon (or south african) aggregator. You know, only Nigeria and Ghana are anglophon outside southern and eastern africa. all others are quite french-speaking. These are some really interesting thoughts and even more interesting commentary. In the end, we’ll be able to see it proved out through the creators of the websites, web communities and platforms. The heterogeneity of the “Africa audience” is clearly a factor that have to be addressed in the design of pan-African web platforms, and it’s probably the most difficult to address as well. Another possible way of looking at it would be region-focused platforms. For example, in West Africa we have the economic community of West African states who try to liase and harmonise policy such as customs and trade. It would mean that the news is closer to home as what happens in Sierra Leone has a much greater influence on say Guinea (french speaking) than Mozambique. Is it possible for a website (or web application/platform) become relevant to Europeans throughout Europe? The language-based approach makes the most sense, I think. I think there should be allowances for both country-specific and Africa-general content. If the goal is to strengthen the African blogosphere, then there is no question about the categories needed, imho. There is much strength in numbers and while some of us identify with a specific country, many times we are left out of the census because we do not reside in that particular country. I don’t really consider my blog a Ghanaian blog. Though I am Ghanaian, my content is more about Africa(ns). I don’t think language is a too huge barrier to overcome. It can be overcome, but it shouldn’t be forgotten.. When you go to http://www.akopo.com, you’ll probably see it in English..Me, I’ll see it in French. And it’s possible to have more languages. There are some technics that allow multilingual websites to deliver contents in regard with the language of the browser. Of course, after, you will need differents teams to target every language. It’s sure that african may have more work to do to be pan-african. But it’s not enough to say that as Europe is not pan-european, african websites shouldn’t/can’t be pan-african. * As Nino said, “localisation” is used to publish a website in the languages of its readers. That is the website menu, the navigation link and the editorial content is changeable to the user’s language. * Then the user can give the permission to the editors or to a localisation team to translate his/her intervention in all relevant languages to the website “net-audience”. * The “localisation team”, a fancy name for translators, is comprised of volunteers selected by the sites editors and rated by those who read their translations of the original articles or writings. Interesting thoughts. Thanks for the inspiration + reminder to reach across borders. Of the three most widely used languages in Africa: English, French and Arabic, Arabic is the most widely used. This is due mainly to the fact that Islam is transmitted mainly through Arabic. Therefore, to the extent that Muslims lives in virtually every African country, every African country has some use of Arabic. Actually, I think that with the three languaeges mentioned, one can communicate with virtually everyone in Africa, especially the literate. Visit my site to share cutting edge knowledge and thoughts about all aspects of Pan-Africanism. These are about the most interesting and exciting moments of my lif, e so far. The interest in Pan-Africanism is spreading like wildfire. I am absolutely delighted to find such a lively discussion. My thanks to you. Pan-Africanism offers hope for solutions to the many problems that we face now. This is why the best minds among us are active and dynamic on this subject. New ideas, new insights, new theories are coming forth so rapidly, I am not sure that I can keep up with it all.